I can guarantee with near certainty that my mother-in-law is going to snicker when she sees the title of this post. She knows that I have history with this recipe. When I started seeing David, he took me home shortly thereafter to meet his family. 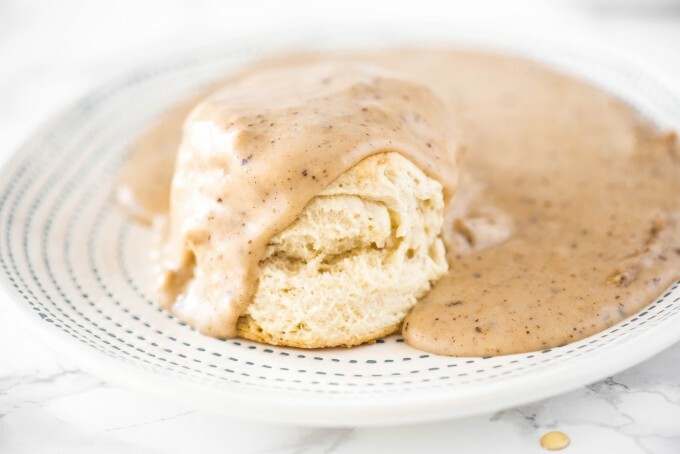 His mom made biscuits and gravy for breakfast on Saturday morning; I could tell that this was something that was done whenever Dave went home, it was clearly something that he loved. After we moved in together, I called her one day and asked her how to make it. 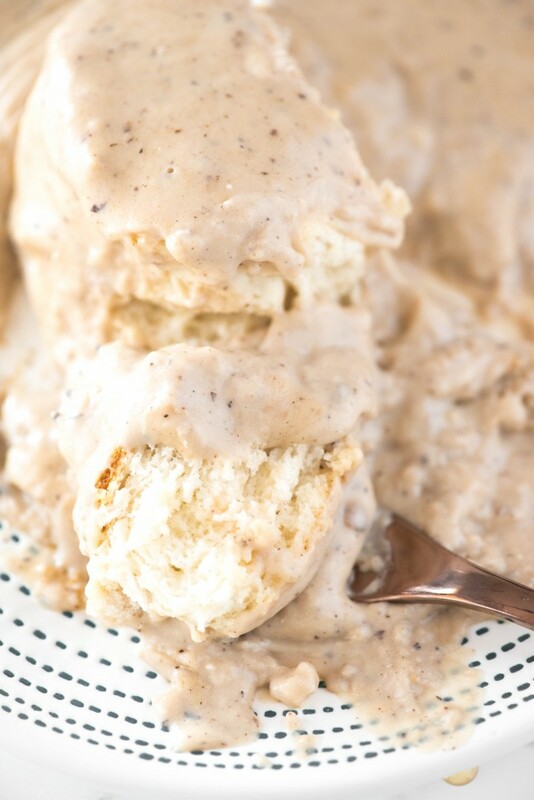 I wanted to surprise him and celebrate our first weekend together in our place with biscuits and gravy. She told that she didn’t really have a recipe, but gave me my instructions. A few tablespoons of fat or oil, whisk in some flour, cook until brown, add milk. Keep in mind, that this was back in the “beginner” days of my foray into cooking, so when I asked her how brown it should be before adding the milk, and she told me “oh, I don’t know, til it’s like chocolate…” I didn’t think anything of it. I DID, however, buy a packet of sausage gravy mix at the store as backup, just in case. The weekend came, and I set about making my gravy. It did not go well. Do you know what it means when you cook a roux til its like chocolate? It means its burned, and everything else is going to taste burnt. I did not know this. I pushed on. I added my milk. I let it cook. I tasted it. It was God-awful. I fished out my backup packet, made it and served it. The jig was up. I confessed the whole story. Flash forward to now- I think I can hold my own on a pretty respectable gravy. It still probably doesn’t taste like my mother-in-laws, but I think it’s pretty good. It used to irk me that David would tell me that mine still didn’t taste like hers, but at this point, I’m past it. You can do this starting with either bacon/sausage drippings (like I did this time) or vegetable oil. If you start with drippings, you will likely end up with more flavor (from all the flavor in the fat itself + the bits that stick to your pan) and your gravy will be a touch darker. I’m also recommending that you double the biscuit dough so you end up with a decent amount of biscuits. The recipe says it makes 10 biscuits, but the only way that I can do that is by patting the dough out thinner than the recipe states. Saucepan – This saucepan is great for simmering the gravy. Food Processor – This food processor will help to make sure all of the dry ingredients are evenly combined. Biscuit Cutter – This biscuit cutter is great for making sure each of your biscuits are perfectly uniform. 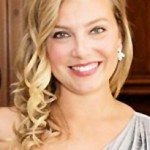 Cookie Sheet – You can use cookie sheets for so many baking recipes. I love these particular cookie sheets for baking these biscuits. In a sauce pan or wide sauté pan, heat fat over medium-low heat. Whisk in flour. Cook for 1-2 minutes. Slowly add in milk, about 1/3 at a time, whisking constantly. Bring up to a simmer. Add beef bouillon, stir to dissolve. Season with salt & pepper to taste. Simmer until thickened. Jac, I did chuckle when I read today’s recipe. I remember that conversation very well and I remember hearing all about. I bet your recipe is as good as mine now, and no, I did not sabotage your recipe. 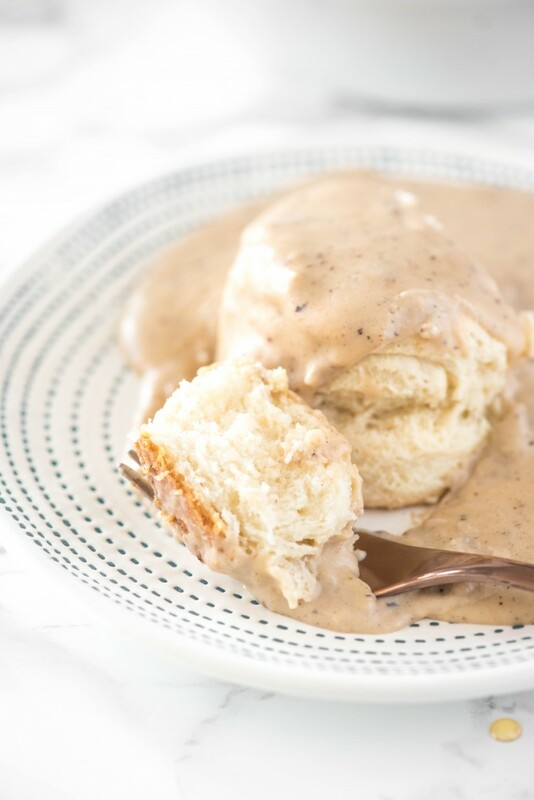 This biscuits and gravy recipe would make the perfect dish for Sunday brunch! It sounds delicious! Definitely making this one for a weekend breakfast. 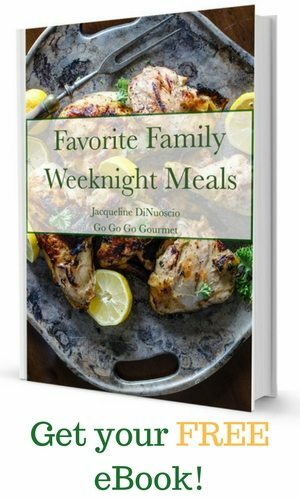 Looks super indulgent and I’m sure the whole family will love it! 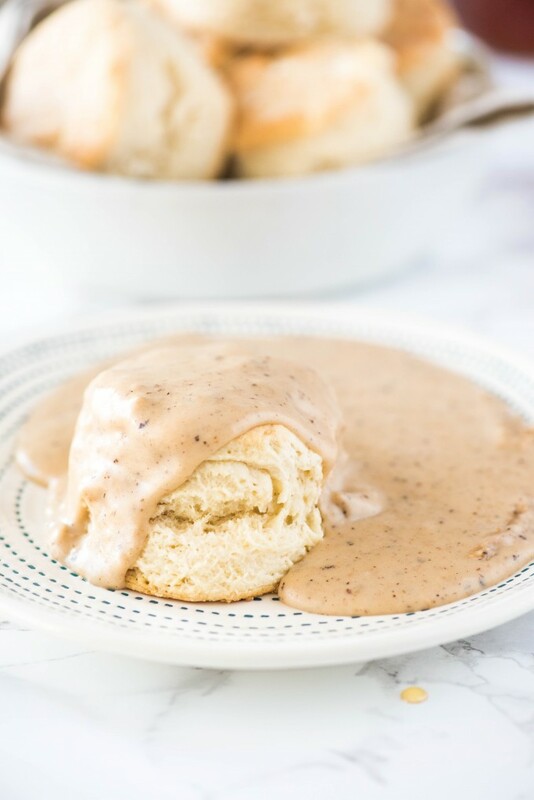 Love biscuits and gravy! Such a decadent treat! Thanks for the great recipe! 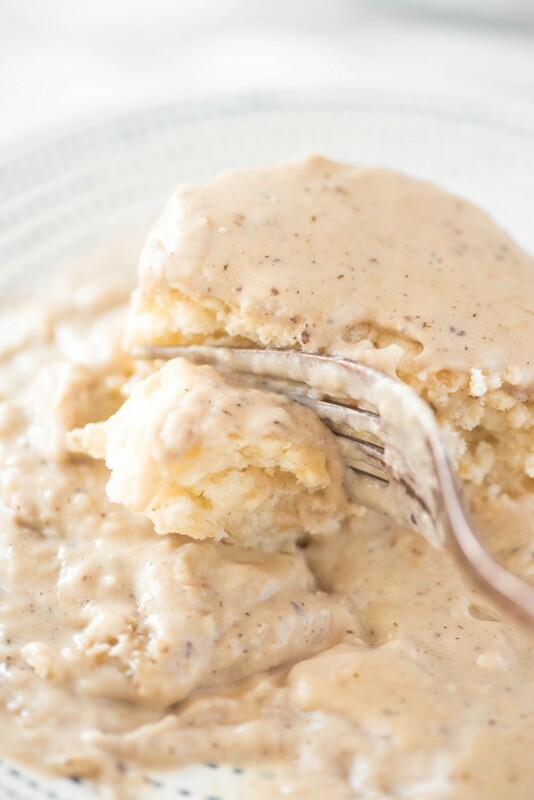 The easiest recipe of biscuits and gravy a have ever seen and its fantastic. Photos are so vibrant and inviting!